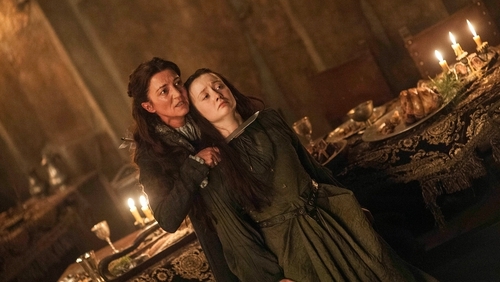 WARNING: The following article contains serious spoilers, and scenes of extreme gruesomeness. Games of Thrones returns to our screens on April 14th. This will be the 8th and final season for a TV phenomenon which was won 47 Emmy awards since it first aired in 2011. 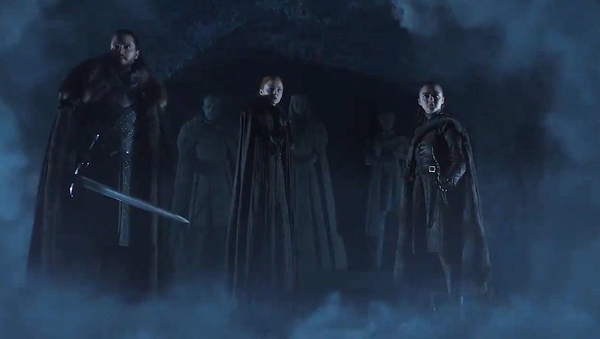 To mark its return, the RTÉ Arena team (who present an hour-long GoT special on April 5th) have chosen seven shocking scenes, one from each of the previous seasons. Shocking because we didn’t see it coming, it was outrageously gruesome or was mind-blowing to watch as a piece of television... sometimes all three at once. There could be no other scene. It has everything. In true Game of Thrones style they kill off multiple characters, many of them the heroes you hoped would avenge the death of Ned Stark. Remember: nobody is safe. From Season 4, it could have been the Mountain versus the Viper, but frankly that scene is really stomach turning. So it’s time for a good death. And nobody deserved it more that King Joffrey. He beheaded Ned Stark in front of his daughters, he did some truly horrific stuff with a crossbow and was generally a horrible little... king. Good riddance. Not again! Is he really dead? We finished season 5 on the biggest cliff hanger yet. Fans desperately looked for clues that Jon Snow was still alive. Kit Harrington was spotted with the same hair (his contract stipulated that he could not cut his hair). Then he was spotted with the crew in Belfast - so we could relax that Jon Snow would be back. Still, watch out Olly, winter is coming... for you. The Battle of the Bastards was a new high point for a truly spectacular series. It took 25 days to film and required 500 extras, 600 crew members, and 70 horses (who were all trained to fall). Kit Harrington as Jon Snow really faced those horses charging at him full pelt. And surely the entire audience watching shouted ‘zig zag, zig zag Rickon!’ as he ran to his brother. It doesn’t seem right to wish that our own Aidan Gillen would die, but his character Littlefinger (aka Lord Peter Baelish) really did have it coming. Was he the worst villain of the whole series? Well, he had a hand in the death of Jon Arryn, which kicked off the bad blood between the Starks and the Lannisters. He turned against Ned Stark which led to his beheading and he sold Sansa to the Boltons. In the end, he tried to turn sisters Sansa and Arya against each other - and was caught on the hop, which made it all the more enjoyable.